The links below are a portion of the power point presentation that NATA presented to the School Committee on behalf of NATA and the para professionals on Wed. Nov. 4 2009 in a public hearing. 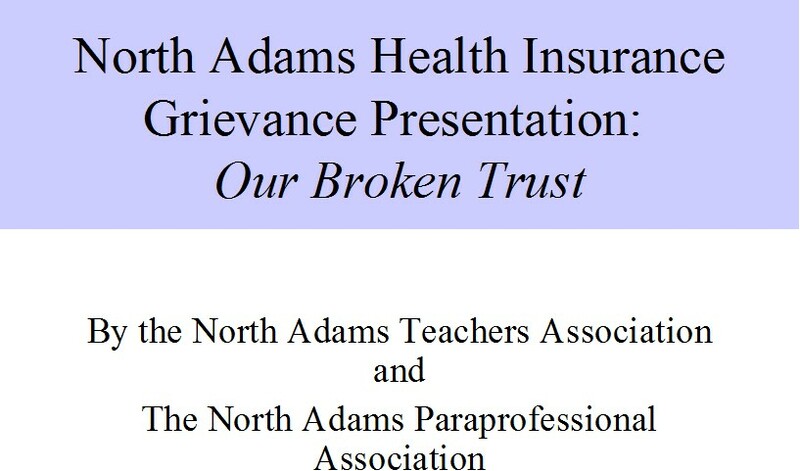 Click here to see NATA's response to the former mayor's Nov. 17 press conference and the doc he released to the press. <<< Click the buttons at left to scroll through presentation.